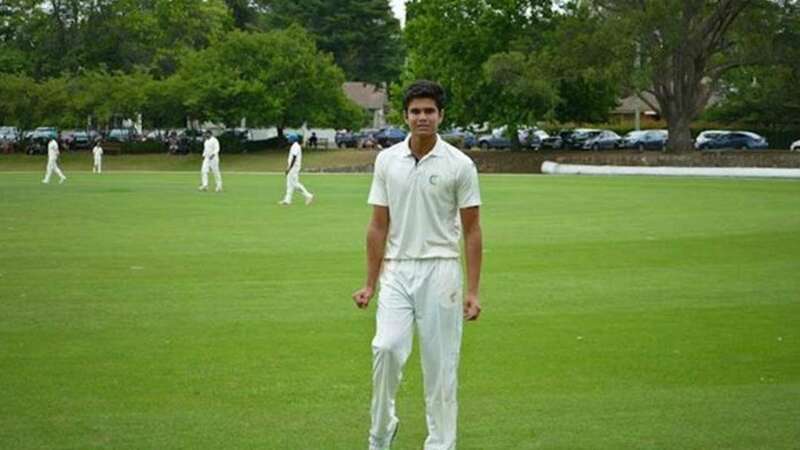 DNA – There was criticism from certain quarters when Arjun Tendulkar was selected for the IndiaU-19 team. Arjun Tendulkar, who is a left arm pacer unlike Sachin took a wicket early for his side against Sri Lanka Under-19 in the first Youth Test match which is being hailed at Nondescripts Cricket Club Ground, Colombo. According to reports, Arjun trapped Kamil Mishara in front of the wicket to get his first scalp for India. In this match, he had got a brisk start scoring 11 of 9 balls, before Arjun Tendulkar got rid of him. This is the first outing for junior Tendulkar and fans will hope that Arjun will continue to make India proud in the future. Earlier Indian bowling coach for U-19, Sanath Kumar had said about Arjun Tendulkar that he will be like any other member of the team.